Just as the Egmont Key lighthouse guides ships under the Sunshine Skyway Bridge and into Tampa Bay, we provide steadfast guidance and help you navigate around un-foreseen obstacles. Through the implementation of a focused, comprehensive financial plan, we provide a detailed guide on how to reach and maintain the lifestyle you desire. We offer unwavering discipline when markets become turbulent and are equipped with the knowledge, skills and tools to provide a solid foundation of financial stability and endurance for you and successive generations. We work tirelessly to earn your trust, so we may be recognized as your family's financial beacon through every one of life's important milestones. We devote the full talents and resources of our team to serve the needs of a limited number of families. This allows us to provide a premium level of service tailored to your unique circumstances. We are proud of the credentials, services and resources we are able to offer our clients and welcome the opportunity to offer the same level of excellence to you and your family. Our Relationship is the right fit. A successful relationship begins with the right fit between client and advisor. We limit the number of clients we serve and are proud to work with families who seek the type of long-term, fully-engaged relationship we offer. The bond we form is fundamental to our mission. A differentiated level of service. We value long-term relationships and are available to address your needs beyond the traditional work week. We're also honored that our client relationships span decades and generations; our clients not only trust us to help build their futures, but the futures of their children and grandchildren. Planning for your lifestyle. You've dedicated your life to creating wealth for yourself and your family; now is the time to enjoy the benefits of your labor. Using your goals as our guide, we create a financial strategy aimed at helping you create and maintain the lifestyle you desire. Experience and education. Our team leverages years of experience and believes in continued education as a means to provide the highest quality of advice and guidance. With our combined experience in the banking, insurance and financial services industry, as well as our advanced certifications, we provide up-to-date ideas and solutions to our clients. Lyn Breda is a Vice President and Financial Advisor. With a B.A. degree in Education from Vanderbilt University, Lyn prides herself on helping others understand complex subject matters, including their finances. 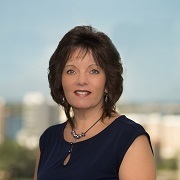 Following in the footsteps of both her father and grandfather, she began her career in 1980 with Merrill Lynch in Nashville, Tennessee, then relocated to Florida in 1982. In 2013, Lyn transitioned her practice to Morgan Stanley with the goal of forming a financial planning team. With over 37 years of experience in the financial services industry, Lyn focuses on technical analysis and comprehensive financial planning, as well as tactical equity and fixed income allocations. She is responsible for designing the team’s Mutual Fund portfolios, as well as selecting the team’s Unit Investment Trusts and Insurance products. Lyn currently lives in South Sarasota with her husband, Bill. After juggling work and family for over 25 years, they have recently become empty-nesters, allowing Lyn to make client service her primary focus. Lyn makes frequent trips to the Northeast to visit her daughter, Ashley, in New York and her daughter, Kelsey, in Massachusetts. In her free time, Lyn enjoys snow skiing, paddle boarding, kayaking and yoga on the beach. We are a tightly-knit team of seasoned professionals with a complementary set of skills, knowledge and experience. Together, we provide highly customized advice and comprehensive wealth management services to individuals and families. We help you prepare for all of life's milestones - your children's education, your business succession, your retirement, your estate and your ideal future. Working cooperatively with your accountants, attorneys and other trusted professionals, we help you build a comprehensive plan that encompasses all aspects of your life. We have a strong understanding of economics and are well versed in the equity and fixed income markets. Carefully crafting each portfolio, we emphasize diversification, tax efficiency, risk mitigation, capital preservation and long-term growth. We have a dedicated Portfolio Management team who will assist in making appropriate asset allocation decisions. Our Portfolio Managers have the technical and analytical experience to conduct the research and due diligence for every recommendation we make. Our goal is to become trusted stewards of your wealth, here to help you make informed decisions on every financial challenge you face. We are committed to helping you preserve and build your wealth and will work to strengthen your family's financial security for generations to come. Lisa is a Wealth Management Associate and CERTIFIED FINANCIAL PLANNERTM. She plays an integral role in creating tailored financial plans to fit the unique goals of our clients. Lisa is a graduate of the University of Florida with a B.S. degree in Aerospace Engineering. Upon graduation, she worked as a successful design engineer before following her true passion to help people achieve their financial goals. She began her career in wealth management in 1999 as a Financial Advisor at PaineWebber, and has worked at several firms over the years including Charles Schwab and Smith Barney, a predecessor firm of Morgan Stanley. Lisa became a Wealth Management Associate in 2004 and earned her CFP® designation in 2010. 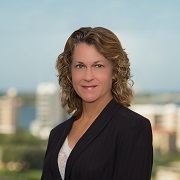 With over 18 years of experience in the financial services industry, Lisa focuses on implementing the teams planning-based model by addressing clients financial planning needs and advising them in the areas of retirement planning, business succession planning, education funding, long-term care, life insurance and liability management. Lisa currently lives in Sarasota. In her free time, she enjoys many outdoor activities including the beach, horseback riding and snow skiing. Jackie is a Registered Associate with an extensive background in the financial services industry. She began her career with Shearson, Loeb, Rhoades in Huntington, New York in the operations department. Over the years she had various roles including wire operator and assistant to the operations manager. In 2002, Jackie transitioned from operations to become a Client Service Associate with Smith Barney. 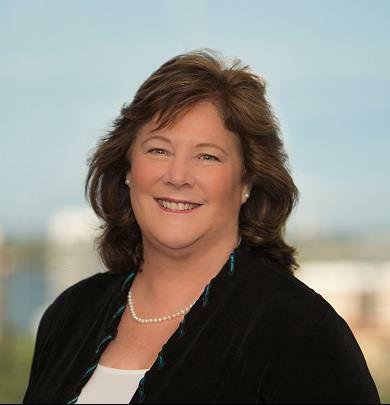 In 2007, she moved to Florida and joined Merrill Lynch in Sarasota. Continuing to work with her clients, Jackie transitioned to Morgan Stanly in 2013. With over 25 years of experience in the financial industry, Jackies level of performance is second to none. She handles all administrative responsibilities efficiently, while still providing clients with personalized service. Jackie has extensive experience in all areas of client service, including website technical assistance. As many from the great state of New York do, Jackie sought warmer weather in beautiful Florida. However, her love of the Empire State is still shown by her support of the New York Yankees. To say Jackie is a fan is an understatement. Not only does she track each game, but attends the Yankee Womens Fantasy Camp each January at the spring training field in Tampa.